Cleaning after winter just got a lot easier with Store-It. Our Halethorpe MD self storage units and these steps to selling belongings online, you are set for an organized spring. While cleaning up after winter, you may find a few items you have not used in a long time or no longer need. Why not sell online? If space is your issue and you just want to get the belongings out, store them with us! Store-It makes it easy to rent a small storage unit and keep items for sale out of your way at home. College Students find self storage during summer break to be extremely helpful, but can also benefit from our extra space after graduation. College students looking for storage in Halethorpe MD find that and so much more with Store-It. Take good photos and add a detailed description of the product. If selling something with scuffs or broken pieces, be up-front with customers. Add dimensions if promoting furniture. Set a time limit! Customers can loose interest if they have time to think about whether they need your product or not. Add as much detail about your item as possible, whether through pictures on the description. Store-It is an easy solution if just starting your online store or trying to clean up for spring. Self storage can be the solution you need for your next online yard sale. 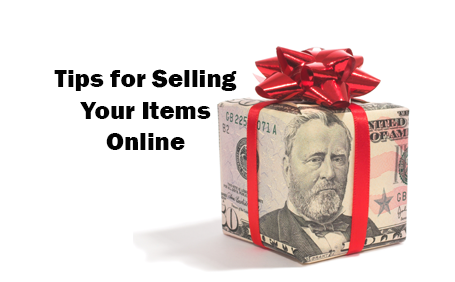 Maybe you are looking for a side job, or just want to sell a few things to help save for a vacation coming up; these tips to sell online and our storage space are the perfect pair. Talk with us today about how storage in Halethorpe MD can be the right move for you!